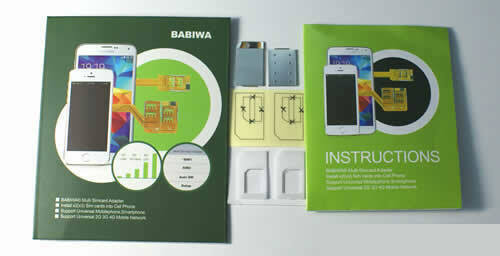 BABIWA© magicsim series newest Magicsim Dual Sim Card Adapter specially designed to fit BlackBerry BB mobilephone. (Support Universal or Worldwide Version). Notice: The Only Genuine Version you could find from the market. Newest Firmware version 3.0. 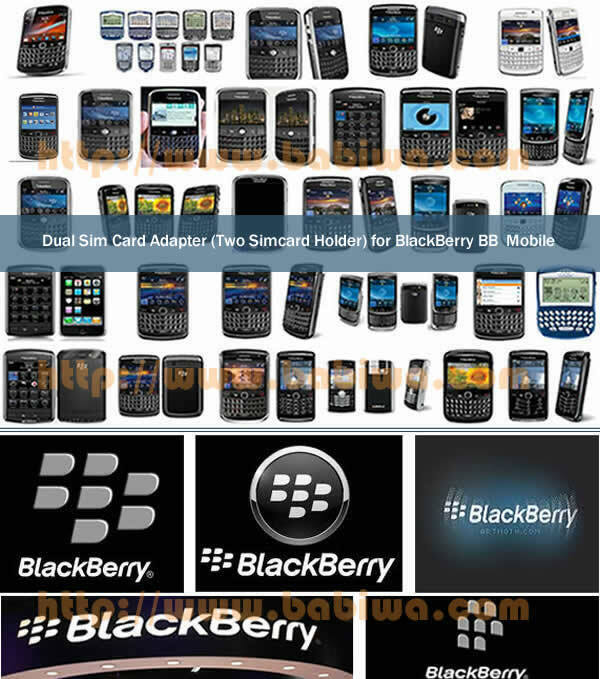 We release different types of multi sim adapter for Blackberry mobilephones. Type BW-3CL-BB: This listing. 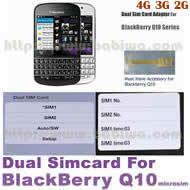 Common Dual Simcard Adapter for Universal Blackberry series mobile phone . Type BW-2BZ-05: dual sim card adapter especially for Blackberry Z10 &Z30 with micro simcard slot. 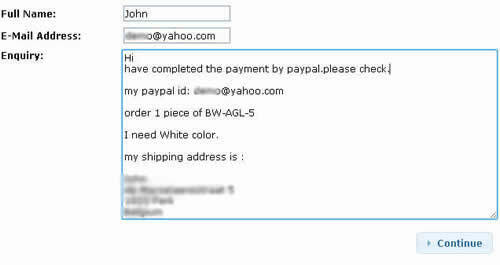 The Embeded Program especially designed for BlackBerry Smartphone upon customer's request. ( 1 ) Memorable Chip used now,your personal configuration of dual sim will be recorded even when power-off or change to another phone . ( 2 ) Newest IC Which is quite thinner than the previous version,to make it more fit and seamless for your phone ! 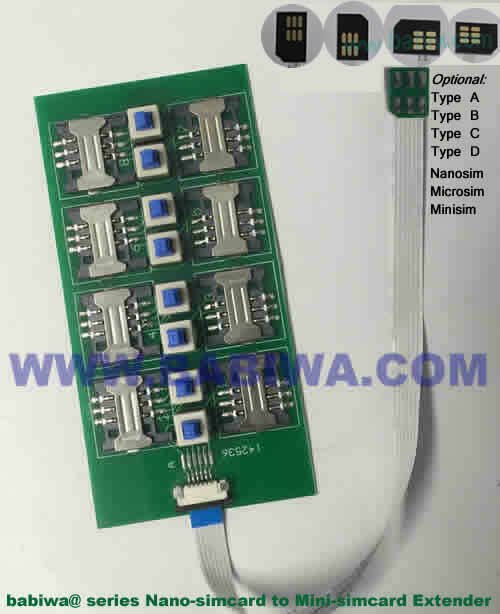 By default,we will send you the cutting type dual simcard adapter which is suitable for Regular Simcard mobile phones(Regular simcard is the universally used simcard type and bigger than the micro simcard or nano-simcard). But if your phone using small Micro Simcard ,please check the micro simcard installing direction as the pic below before your order, and let us know to request micro simcard version when you place the order,so that we will send you the special micro simcard version dual sim adapter! it's important that you have to make sure the micro simcard-inserting direction should be as the Pic Below. if your mobile phone's micro simcard installing direction as the pic below,then you are not able to use our micro sim version dual sim adapter. please don't buy. 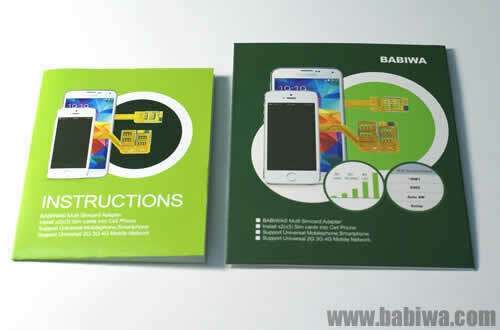 If you order this multi sim adapter BW-3CL-BB for your BlackBerry Phone using micro simcard Slot,it's important to leave us a message for "Micro Simcard" version! By Default we will send you the " Regular Simcard' version by default ! 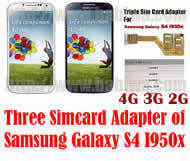 Compatible with 4G LTE network. Support Universal 2g GSM network(GPRS EDGE Data&Video Transmission). Support SPECIAL 007 Function, You could dial 001 or 002 to change simcards. This is a interesting small gadget to Let your Mobile Phone Get Two Sim Cards Installed for your Free Choice Conveniently and Easily !You don't need to power off to change sim card. To let you choose any One number online easily. Limited-Amount offer with discounted price !Catch Asap. 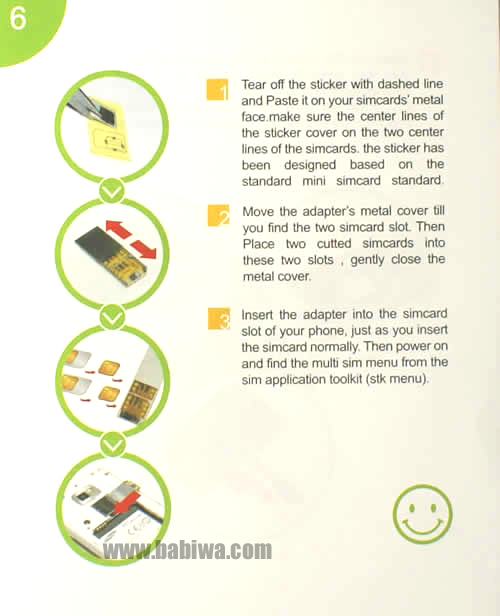 This Listing is for Cutting version by default,You need to cut both simcards with common scissor to make the adapter very compact to fit into your mobile phone's simcard socket,it's very easy for new user,detailed instruction included in the package. 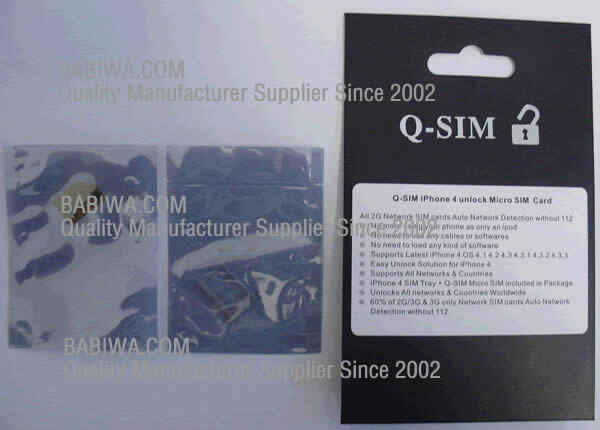 We also provide non-cutting version dual sim adapter,you could contact us to change to non-cutting version if you like. 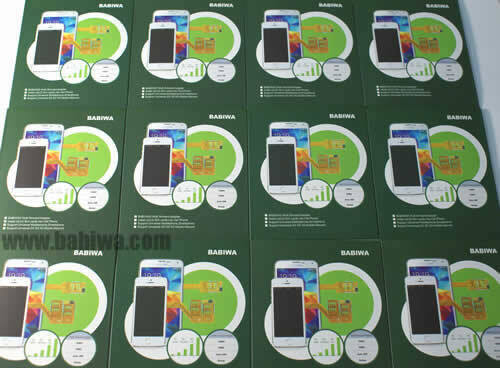 Please Notice this is the Genuine BABIWA© magicsim series Dual Adapter Product released from Patient Owner, Not the Common Fake Magicsim products easily found in the market.The dual twin sim card is under patent Law protection from both China Mainland and Taiwan area. You don't need to power on and off the mobile phone to switch the both numbers(sim cards),just switch SIM(both phone number) online through embedded STK MENU .And the " AUTO SWITCH " feature enable you to Set Two sim cards to be online automatically . please notice you can conveniently choose any one number online,but this adapter doesn't support both numbers online at same time . 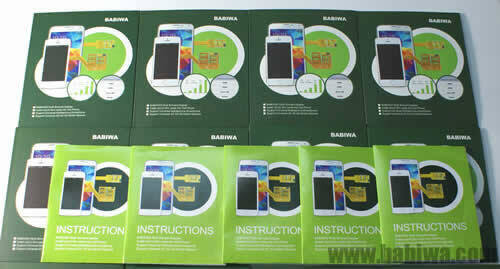 (3).Specially Designed Program compliant with BlackBerry Series Phone. (4).Choose the most appropriate simcard at your option,Save your charge of roaming & long-distance call. (5) Special "Automatical Switching Mode" Updated,to let you easily Setup Automatical-Switching Time Length ,to let Both numbers switch online Automatically upon your choice! 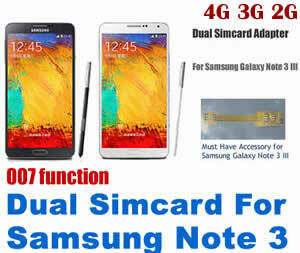 (7) This Dual Simcard Adapter supports Sim Application Toolkit Enabled Phones,because the dual simcard operating menu will be found from your phone's Sim Toolkit Application. (8) Special "Dial-to-choose" function Added !this function is also called 007 Function.You could use this dual sim adapter by just dialing the short number as 001,003,007 etc,in additional to choosing from the embeded STK Menu.More convenient and easy for new user ! (9).Protect SIM card against loss and damage.After installation,your original STK MENU Function and Your original Call-record will be remained without lose. Cutting version,you need a common scissor to cut both simcards to fit into the adapter's slot.Very easy to operate even for first user. instruction included in the package. 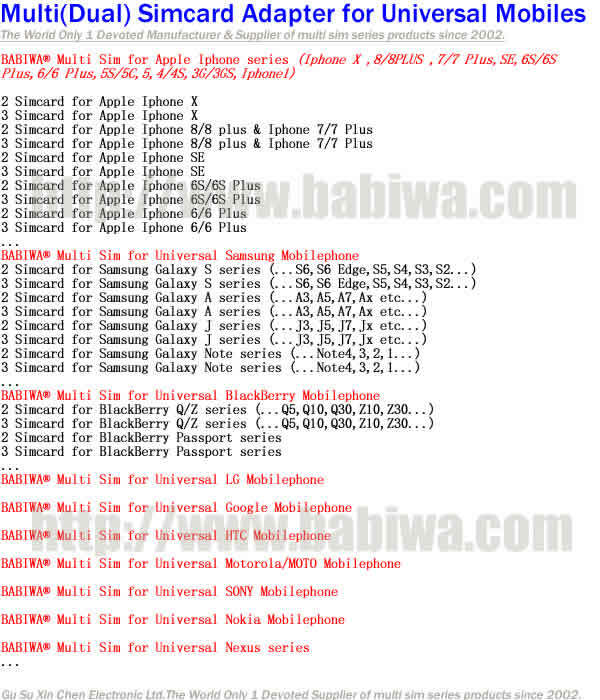 The Models List below is collection from our own report ,also some reference from Other Customer's Feedbacks.Since the complicated condition of different carriers and networks worldwidely,the below list is just for your reference. (Support Universal or Worldwide Version).